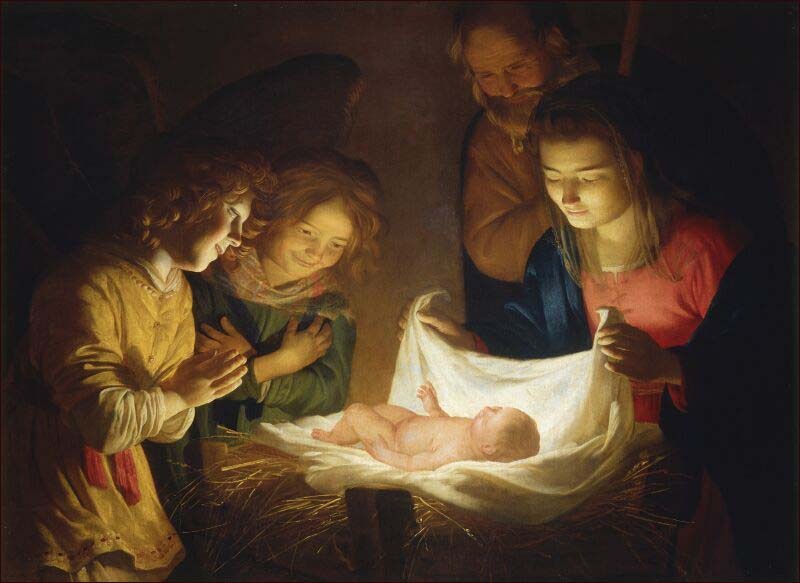 Biblically speaking, what was the purpose of the incarnation? This question is of utmost importance and is not to be trivialized. To misunderstand the purpose of the incarnation is to misunderstand the righteousness of God and the necessity of penal substitution through a pure and sinless sacrifice for the purpose of God legally declaring the unjust, just, while God remains just. In simple terms (not trivial), God is just (right) and always will be and He will not violate who He is. Therefore God cannot and will not arbitrarily declare an unjust creature, just, without there being an actual legal transaction securing both the justness of God and the justness of the unjust. There has to be an imputation of the justness of a just substitute to the unjust or else God will not declare him or her to be so. Therefore the incarnation was a necessity for penal substitution, for atonement! This was the primary purpose of the incarnation – to make propitiation for the sins of the people. I will establish this biblically but first I want to look at a few examples of misinterpreting and trivializing the incarnation. Probably the most famous (should be infamous) for his misinterpretation of the incarnation and atonement would be Charles Finney. Concerning Christ and the atonement Finney said, “He can not plead as our Advocate that He has paid our debt, in such a sense that He can demand our discharge on the ground of justice. He has not paid our debt in such a sense that we do not still owe it. He has not atoned for our sins in such a sense that we might not still be justly punished for them. Indeed, such a thing is impossible and absurd. One being can not suffer for another in such a sense as to remove the guilt of that other. He may suffer for another's guilt in such a sense that it will be safe to forgive the sinner, for whom the suffering has been endured; but the suffering of the substitute can never, in the least degree, diminish the intrinsic guilt of the criminal. Our Advocate may urge that He has borne such suffering for us to honor the law that we had dishonored, that now it is safe to extend mercy to us; but He never can demand our discharge on the ground that we do not deserve to be punished. The fact of our intrinsic guilt remains, and must forever remain; and our forgiveness is just as much an act of sovereign mercy, as if Christ had never died for us” (Charles Finney, Christ Our Advocate, VI. What His plea in behalf of sinners is, Number 7). Since Anselm (1033-1109) most of the Church has understood Christ's death in forensic, i.e., legal categories. In Cur Deus Homo, Anselm argued that God having willed to redeem us, he could so in no other way than by the incarnation. Not so, however, for the Pelagians. In their scheme, it has been considered unjust for Christ to have suffered vicariously for sinners. How can one righteous person suffer for others, especially the unrighteous? This was Pelagius' argument and has been followed in more Modern times by Hugo Grotius (1583-1645) and Charles Grandison Finney (1792-1875). Hugo Grotius was the major proponent of the governmental theory of the atonement. He trained as a lawyer rather than a clergyman. Following closely in his footsteps in the nineteenth century was another lawyer and proponent of the governmental theory of atonement, Charles Finney. According to the governmental theory of atonement, the purpose of Christ’s death was not to satisfy the demands of God’s just nature so that He might be able to do what He otherwise could not have done, namely, forgive sins. The governmental theory of atonement separates the person of God from the government of God so that sin is not a violation of God’s person but of His laws. However the two cannot be separated and to violate God’s laws is to violate God’s nature, His person. Another example of misinterpreting and trivializing the incarnation is seen in writings of many in the postmodern movements of our day. Such as Ron Martoia in his book Morph. Seeking to justify being like the world to win the world (cultural relevance), the incarnation is grossly misinterpreted by Martoia as God’s desire to be culturally relevant. He says, “The quintessential example of genius intersection is, of course, the incarnation: God’s presence, voice, and message piercing and penetrating 1C culture. As we simply observe the potency of the incarnation, several things come to mind. God sent Jesus as a person. God could have sent the message packaged any number of ways. He didn’t choose a CD player to herald the good news, a Web page that automatically pops up every time someone logs on, or an MP3 download into our ear canal. The fact that he sent a person bespeaks God’s desire to be relevant, understandable, approachable, and relational (Ron Martoia, Morph, Group Publishing, 2003, pg. 17). But according to God’s Word God could not have redeemed any other way, “Therefore, since the children share in flesh and blood, He Himself likewise partook of the same, that through death He might render powerless him who had the power of death, that is, the devil, and might free those who through fear of death were subject to slavery all their lives. For assuredly He does not give help to angels, but He gives help to the descendents of Abraham. Therefore, He had to be made like His brethren in all things, so that He might become a merciful and faithful high priest in things pertaining to God, to make propitiation for the sins of the people. For since He Himself was tempted in that which He suffered, He is able to come to the aid of those who are tempted” (Hebrews 2:14-18). Penal substitution is the only way God can forgive and remain just. “He made Him who knew no sin to be sin on our behalf, so that we might become the righteousness of God in Him” (2 Corinthians 5:21). Therefore the incarnation was necessary for the realization of penal substitution and that is the primary biblical interpretation for the incarnation. If God could have redeemed any other way, surely He would have done it! But because there was no other way – what a demonstration of the love of God in penal substitution – “But God demonstrates His own love toward us, in that while we were yet sinners, Christ died for us” (Romans 5:8). It sure sounds to me like the incarnation is the only way of redemption. And that sure makes us marvel at the love of God in our salvation!